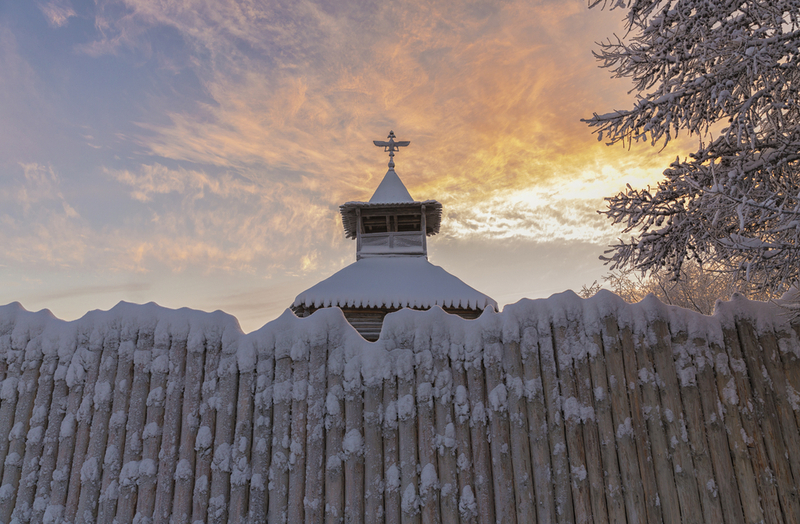 Veszprém, also known as the ‘City of Queens,’ is one of Hungary’s hidden treasures. With its winding streets, steep inclines and many romantic corners, you could almost feel that you had drifted into an enchanted town. 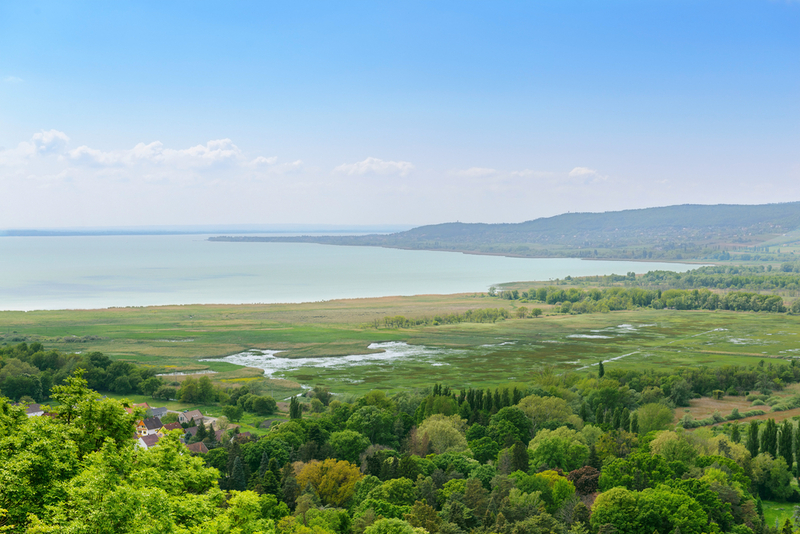 Also, Lake Balaton and the hills of Bakony are within striking distance for an excursion. 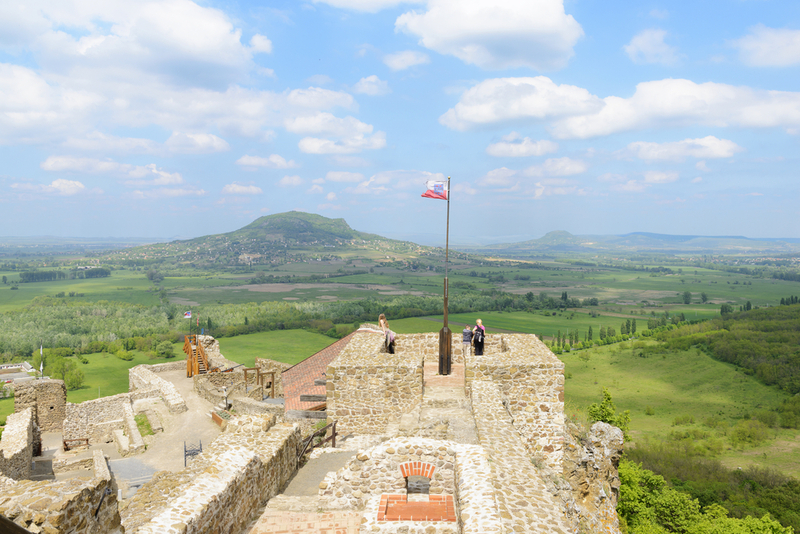 There are certainly many things to do in this part of the world as well as there are great restaurants and bars, so let’s see what Veszprém has to offer in regard to hotels. Standing at the foot of the castle walls, this former baroque building merges the heritage of the past with tasteful modern elegance. Given that the hotel-restaurant is in the heart of the city, the castle and the marvelous park alongside brook Séd are easily accessible – ideal for a little walk after relaxing. The offered menu changes with the seasons so, for example, winter is associated with foie gras with lecsó, or catfish with paprika and dill-flavored cottage cheese pastry. This hotel put a lot of effort and consideration into the creation of newly renovated, romantic rooms and its quality cuisine, a repertoire which delights all who sample the fantastic, fresh meals. This attention to detail is tangible when you taste the cockerel soup with thyme, or the pullet fillet baked in a Parmesan crust, or the broccoli-filled ravioli bathed in a buttery almond sauce. Some of the rooms are decorated with timbered roofs, and each of them has unique wooden furniture. For further relaxation you can enjoy the adjacent wellness area. Oliva Restaurant welcomes its guests right in the heart of Veszprém, just a few minutes’ walk from the castle. In the Mediterranean garden area, live music and jazz concerts enhance the upbeat mood, augmented by the selection of quality wines. You can choose from the selection of popular international meals or opt for something more traditionally Hungarian – you really cannot go wrong. The rooms are of top-notch quality, and usually there is a small living room separated from the bedroom part which makes the arrangement of the space unusual. Home to a tiled stove exuding cozy warmth in the winter, a cooling breeze under the shade of walnut trees in the summer, and a heavily-laden cherry tree in June, this hotel is absolutely recommended for families. You can choose a room with semi-separated rooms. If you arrive with a group and you cannot find your choice from the menu, the chef will surprise you with something prepared just for you. It is hard to summarize all the things that are possible in this amazing hotel just in a few words, but here we go! The hotel is located in an enchanting valley beneath the impressive viaduct and surrounded by trees and nature. The rooms look majestic; they also have a so-called Wellington pub where you can suddenly feel that you are in a posh London club – you can even have some newspapers or books to read. There is a great wellness area with anything you can desire. Moreover, there is a ‘Nostalgia garden’ from where all the herbs and vegetables come for the dishes, and if you are interested in cooking and cuisine, you can participate in a cooking class as well. The cherry on the top is the wine cellar which was hidden until a recent renovation unfolded it – specialists say it is more than 100 years old. This marvelous hotel is in a converted old mill house – everything is renovated and in a top-notch state, but the place still has the old building’s unique atmosphere. You can enjoy the great view onto the castle as well as the products of the local brewery where you can not only taste, but watch and experience how beer is made. Take a walk at the Séd brook after the great and filling breakfast or just enjoy the coziness of the individually upholstered rooms. Betekints Hotel has the advantage of being in close vicinity of the zoo and offering a great quality and pampering wellness at the same time. In a tranquil, green area, just a stone’s throw from the gates of the zoo (you can hear the lions howling!) you can relax in this popular hotel. If you like ice cream (and who doesn’t?) you can enjoy some homemade on weekends. This small cottage (Mandel Cottage) is in a hidden area in Veszprém, but every famous and important spot (like the center, the castle, the zoo) is accessible easily. Due to the size of the cottage, there are only a few rooms, but that means that your surroundings will be quiet and peaceful. All rooms have a view to the garden where you can also take a seat in good weather. Each room is equipped with a small kitchen, so there is no obstacle should you want to prepare a warm breakfast for your loved ones. Woodbine Cottage couldn’t have a better location: it is right next to the castle in a beautiful, absolutely elegant building, with no traffic around (it is surrounded by promenades), and in the proximity of great restaurants, bars, and of course, the castle. A truly romantic hiding spot for anyone! Try the well-equipped garden area – it is great to sit there during warm summer evenings with a glass of wine, mesmerized by the scent of flowers. 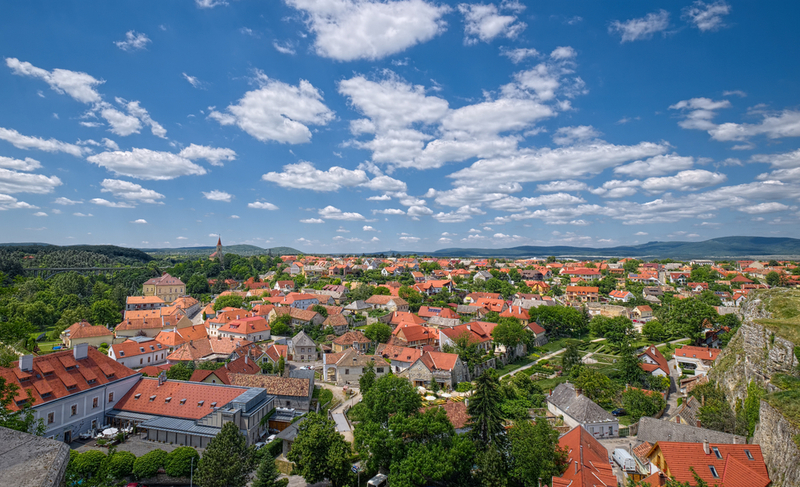 Not far from Veszprém, this lovely little village hides this perfect spot for anyone who would like to relax, go on excursions, or just spend time in nature. The name says it all: Tale-castle in Bakony hills. Walk in and you are immediately surrounded by homey, cozy yet exciting décor and perfect service.